I have been making handcrafted cold process soap for personal use, family and friends for almost 3 years now and have recently decided to expand my business to include a selection of bath and body products. I have 3 new shops that I am slowly filling with beautiful soaps and sugar/sea salt body scrubs. I will be cutting back on my line of personalized jewelry so that I can focus on building this side of my business. I am really excited about this expansion and have all kinds of ideas that I hope to see materialize over the next few months. Why buy handcrafted soap? My cold process handcrafted soap is created from scratch using a combination of vegetable and nut based oils and butters. 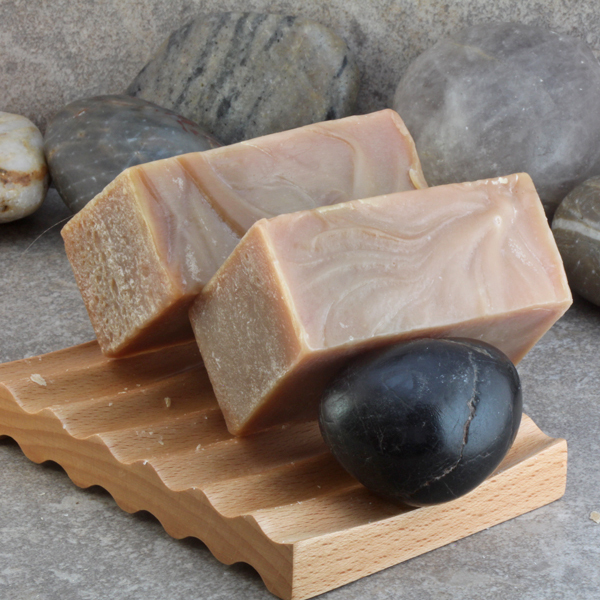 Handcrafted soap contains no harsh chemical detergents which strip your skin of its natural oils. 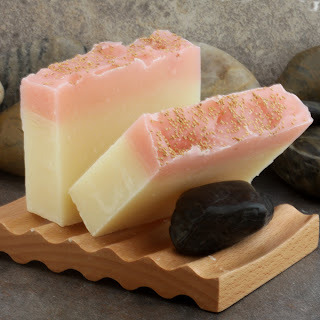 Handcrafted soap retains its glycerin content as it is not removed from the end product. Many commercially produced soaps remove this glycerin by product and replace it with chemical detergents and surfactants which is why they can be so drying to the skin. My melt-and-pour line is also a vegan product created from a base of vegetable oils and also contains no chemical detergents. These soaps have added glycerin for additional skin softening benefits. This line allows for some really creative designs in a finished product. 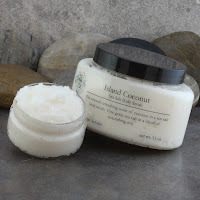 My body scrubs are also created from vegetable and nut oils and butters. I use an emulsified formula to keep the sugars and salts suspended in the oils so there is no separation of the two leaving a layer of oil on the surface of the scrub and in your shower or tub. No remixing is necessary when using these scrubs. I will also custom make scrubs using your choice of scents, colors, exfoliating ingredients and oils. Keep checking these shops as new soaps and scrubs will be added to inventory over the next few months.